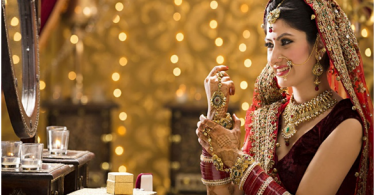 25TH WEDDING ANNIVERSARY GIFTS IDEAS FOR HER – It has been 25 years since your wedding; you have spent a quarter of a century together. A milestone for you guys to celebrate the incredible time together. This journey has not been easy accompanied by so many ups and downs. You flailed through the hardships and shared the happiness together. You probably had kids, fights, vacations and a memorable time together. Celebrate this prestigious occasion of silver jubilee of your time together with a gift your spouse or a couple you may know or your parents. Though here we will only talk about gifts for her. Being silver jubilee the most preferred and traditional gift will be silver itself. This clears out the confusion of what type of a gift to gift. We’ve picked up the finest ideas for the perfect silver jubilee gift. 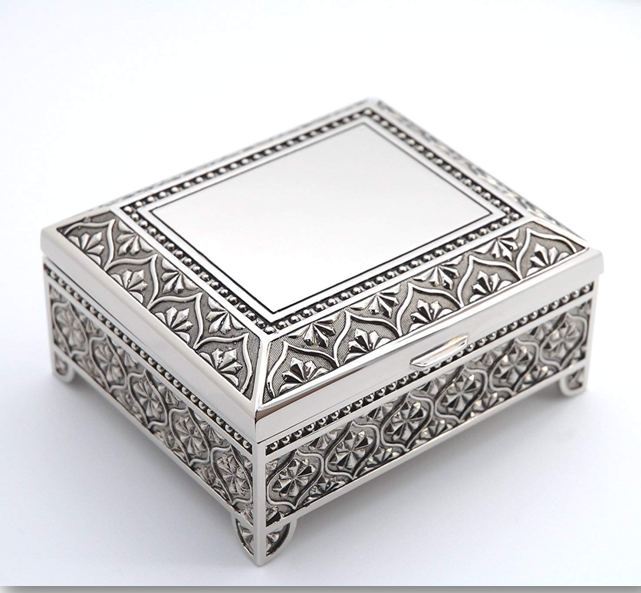 A shiny jewelry box that captures the awe of the spectator with a deluxe look that makes it classy can be the perfect gift for her 25th wedding anniversary. The looks might make it appear expensive but it comes at a reasonable price. This box can be used to store jewelry, trinkets and almost anything in an eye-catchy way. You can also get a name or a monogram engraved on it for free. Additionally, the gorgeous blue interior gives the box a premium finish. The all-time favorite necklace that spreads its charm like anything might be a remarkable gift for your wife. This classy gift is going to impress your wife even if she is not a big fan of jewelry. In the shape of heart with modern matte finish it can store two photos inside making it a memorabilia for your family and you two. You can store pictures of your wedding or you two with kids. 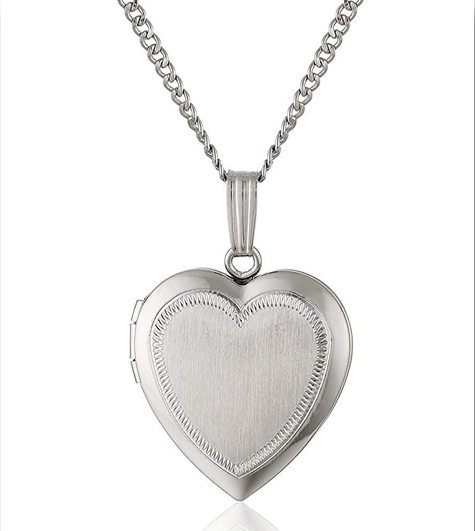 This genuine sterling silver piece gains emotional value when given on such a memorable occasion. The value a standard necklace when given a personal touch increases manifold emotionally. 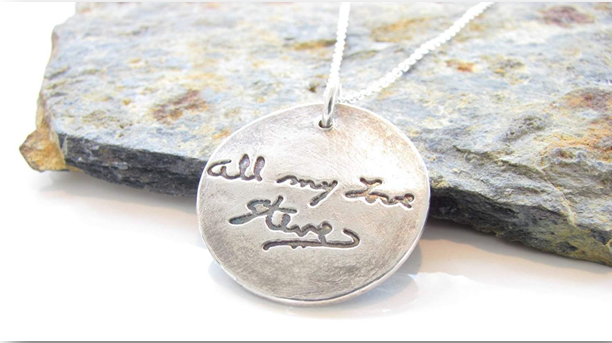 You can get a message or signature in your handwriting transcribed on the necklace, so that whenever your wife wears it she may feel your presence with her. This gorgeous pendant comes up with a limit of 4 words but do keep in mind that the font becomes smaller with increasing characters. You can look for alternative handwriting jewelry over here. 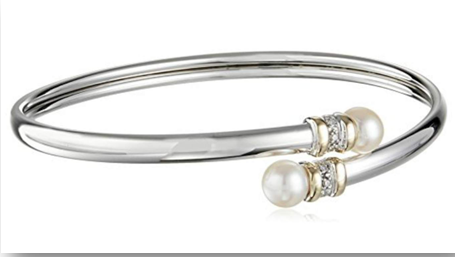 Gold, Silver, Diamonds and Pearls studded in a shiny bangle is the most beautiful gift your wife on the silver jubilee. No woman could escape its bewitching beauty. Not being hollow and composed completely of silver; it has a robust weight to it. Your wife can wear it on any dress and this bangle will spread its magic on every one, all because of the versatility of this bangle. Best Wishes for your anniversary! How UrbanClap helped me organize my daughter’s wedding effortlessly!